Supporters of the proposed merger point to the fact that Broadcom was a U.S.-based company until its headquarters moved to Singapore in 2016 because of a merger, and that it was in the process of moving its headquarters back to the U.S., partly to allay national security concerns associated with this kind of merger. A reason that administration officials are giving for blocking the merger is that Broadcom would curtail investment in the aggressive research and development program that Qualcomm has been pursuing, particularly in 5G technology, the new technology that will substantially speed up data transfers to and from smartphones. If Qualcomm is slowed down from technology development, it would give an advantage to Qualcomm’s major competitor, China-based Huawei [pronounced WAH way] Technologies Co., the world’s largest telecommunications-equipment manufacturer. So, based on this logic, the administration determined that the merger would pose a national security risk. However, as convenient and simplistic as that explanation is, there are obviously much bigger issues. There has been growing resistance in both the White House and in Congress to allowing Chinese investments in the U.S. and imposing tariffs on a broad range of its imports to punish Beijing for its alleged theft of intellectual property. Theft of intellectual property is the real heart of the matter. Whether based in Singapore of the U.S., Broadcom has ties to several Chinese firms, most notably Huawei, the world’s largest telecommunications-equipment manufacturer. China uses every opportunity it can to force any company wanting to do business in China to make all its intellectual property available to a government-controlled company, and hence to any other Chinese company. 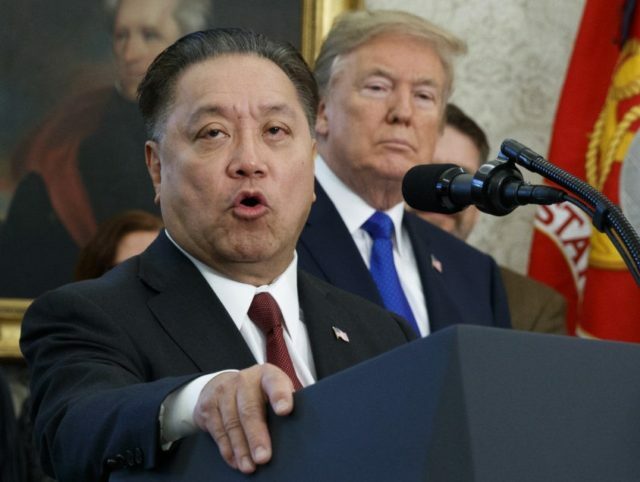 It is feared that if Broadcom acquires Qualcomm, then China will find a way to force the merged company to turn over all its intellectual property to the Chinese government. This investigation is still ongoing. If the investigation finds against China, then the U.S. could impose a number of penalties, probably triggering retaliation. Amazon and Best Buy are now offering a new Android smartphone, the Huawei Mate SE, with a large 5.93-inch screen and a big battery, for just $229. 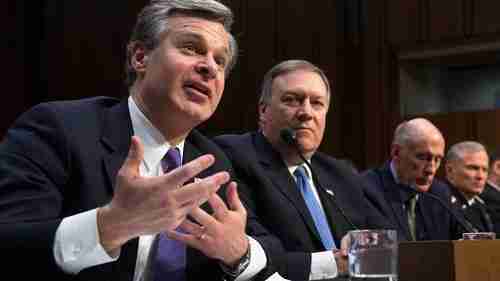 However, six intelligence agencies, including the CIA, FBI, and NSA, are all advising Americans not to do business with Chinese firms Huawei Technologies Co. or ZTE Corp.
That provides the capacity to exert pressure or control over our telecommunications infrastructure. It provides the capacity to maliciously modify or steal information. And it provides the capacity to conduct undetected espionage. Huawei is aware of a range of U.S. government activities seemingly aimed at inhibiting Huawei’s business in the U.S. market. Huawei is trusted by governments and customers in 170 countries worldwide and poses no greater cybersecurity risk than any ICT vendor, sharing as we do common global supply chains and production capabilities. Well, he is not denying that Huawei could maliciously modify and steal information, and conduct undetected espionage. So I will take that as a “yes,” the Chinese are doing exactly that. And 170 other governments are stupid enough to allow it. I have a part of my career developing chip-level operating system software for embedded systems, so I know exactly how to do what Panetta is suggesting. Furthermore, I can tell you that not only is it doable, it’s not even particularly difficult for someone with the right skills. But what Huawei could do is install a “backdoor” into the chipset. When the chip receives, say, a secret 1024-bit code, then it will execute commands sent to it by Chinese engineers. Thus, the Chinese are then in control of any devices with Huawei or ZTE chips. As I said, this is not only doable, it is easy to do. The “backdoor” could not be detected until an attack had been launched, and then it would be too late. And since it CAN be done, I am absolutely certain that it HAS been done. Huawei was founded by Ren Zhengfei, a former Red Army engineer. China has been preparing for war with the U.S. in every possible way. They have built large, illegal military bases in the South China Sea, and repeatedly lied about them. They have developed numerous nuclear-tipped ballistic and hypersonic missile systems designed to successfully strike and destroy American aircraft carriers, American cities, and American bases. They have demonstrated a capability to destroy American communications and GPS satellites. They have thousands of missiles ready to launch against Taiwan, and they have large military deployments in western Tibet ready to invade India. China has been preparing in every possible way for years for a successful pre-emptive military strike against the United States, and there is absolutely no doubt that they would also prepare by installing “backdoors” in all the chips and switches and other electronic devices that they sell. Basically, any electronic device linked to a Chinese firm is under suspicion, because it is almost certain that the Chinese are preparing to use backdoors and other tools to take control of them remotely in time of war. The Broadcom acquisition of Qualcomm does not have an obvious relation to this threat, but an opening might occur in the future as Broadcom and Huawei continue to do business.